Can Guinea Pigs Eat Peaches? How About Skin & Pit? 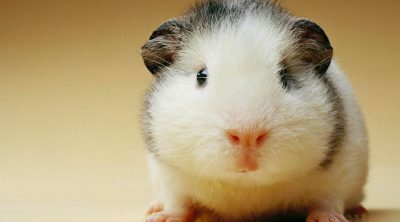 Guinea pigs are fluffy, lovable, and always chewing on something. If you’re the proud owner of a guinea pig, you know what I’m referring to. As guinea pigs relish being given various tasty treats, you might have asked yourself ‘can guinea pigs eat peaches’? If you wonder whether you can share this fruit with your fluffy pet or not, the answer is yes, as long as you don’t overdo it, and keep the portions moderate. Can Guinea Pigs Eat the Peels of the Peaches? Can Cavies Enjoy Dried Peaches? 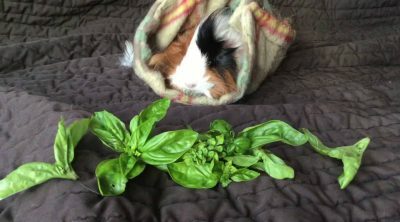 Are White Peaches Recommended for Cavies? Peaches are utterly delicious, juicy and they are favorite fruit treats for guinea pigs. They’re appetizing, mouthwatering, and you genuinely can’t help but share one with your furry pet. Let’s admit it; it’s nearly impossible to resist it! While you can share some peaches with your piggy from time to time, keep in mind that peaches should not become a regular addition to your pet’s diet, given their richness in sugar in particular. As you most probably are already aware of, high amounts of sugar are admittedly harmful to your little cavy. Therefore, feeding your pet a few pieces of peaches once or twice a week is fine. However, be careful not to exceed this limit. You need to look after your furry pet’s health condition since he is counting entirely on you! Note: Don’t offer the pit to your guinea pig. The pit is big and hard for him to chew on. Additionally, if your cavy manages to crack the pit, it contains harmful compound called cyanide which is dangerous for your pet to ingest. You don’t have to peel off the skin before feeding it to your guinea pig, unless the peaches were grown with harmful pesticides. In this case, you should peel off the skin first. However, if you opted for organic peaches, there is nothing you should worry about. The odds are your guinea pig will chew the peach with peels included, without stumbling against any difficulty. When it comes to giving your guinea pig dried peaches, you should take into consideration that they are sweeter than fresh fruits. Therefore, they shouldn’t be fed to cavies. Fresh peaches are the best option for your pets. 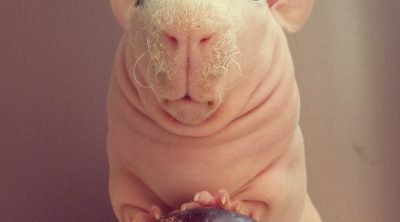 Guinea pigs shouldn’t be fed canned peaches for the sole reason that they are genuinely filled with larger amounts of sugar than fresh ones. Tinned peaches will certainly hurt your little furry pet’s belly, and you don’t want that, do you? 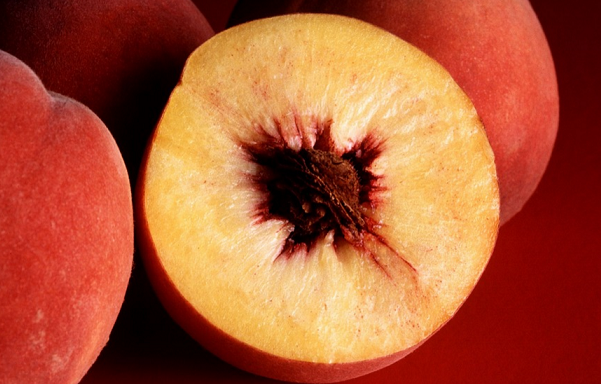 The distinction between regular peaches and white peaches is that the former ones contain lower amounts of acid. That makes them taste sweeter, regardless of their firm or soft texture. Thus, you can share white peaches with your furry family members as well. Just make sure not to feed them more than twice a week. We already established that the main downside to peaches is their richness in sugar. However, at the same time, they contain low amounts of phosphorus, calcium, fat, and oxalate, which are compounds that shouldn’t be found in your guinea pigs diet. Thus, the only danger peaches encompass for your furry pet’s health is their sugar content. 1 large peach contains 15 grams of sugar. The bottom line is that moderation is the key to such fruits that are loaded with sugar. A small treat once or twice a week won’t harm your furry pet. A recommended amount is 1 cubic inch. As you probably already know, your fluffy guinea pig cannot synthesize his own vitamin C. Therefore, your cavy needs to extract vitamin C from the regular diet. The good news is that peaches contain important levels of vitamin C, ensuring your little buddy’s vitamin C supplementation. 1 large peach contains 19 % of vitamin C. However, as already mentioned, peaches are also a source of sugar, which can be harmful to your furry pet’s digestive system. If given in excess, peaches can cause your pet to suffer from vomiting, diarrhea, stomach upset and may even contribute to gaining a surplus of unwanted weight. All these can seriously affect your pet’s health in the long run. We suggest you consider moderation as a key principle when it comes to your guinea pig’s diet. Your furry pet is cute, cheeky, and adorable little fur ball but it is important that you provide him sweet snacks only occasionally. 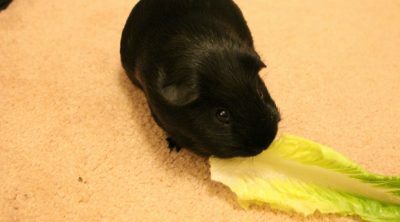 Your piggy’s regular diet should consist of pellets, hay, daily green leafy veggies and fresh water. 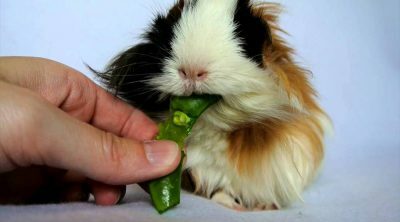 Establishing a safe diet for your guinea pig can be quite challenging, given the fact that it is hard to resist not spoiling your pet with treats on a regular basis. 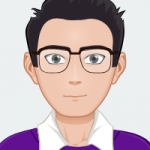 However, we recommend that you do your research before implementing new ingredients into your furry pet’s diet and remember to offer new foods in small quantities. 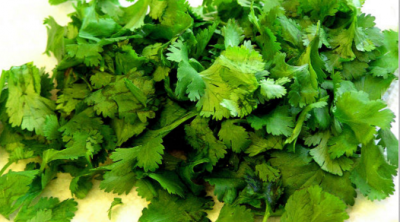 Can Guinea Pigs Eat Cilantro? What Does a Tick Nest Look Like?